Frequently Asked Questions What is SEO? SEO Sydney is one of the most creative and foremost SEO and Internet Marketing services in Sydney, which provides professional 'On-Time' SEO services to all kinds of small businesses. As a prominent SEO Company in Sydney, we believe Search Engine Optimisation (SEO) is the art of website promotion focused on helping your website to attain rank on search engines like Google, Yahoo, and Nine MSN through targeted keywords. According to our SEO experts, rankings are the cumulative effect of several promotional as well as smart optimisation works. Thus our simple vision is focused on producing rock-solid on-page Search Engine Optimisation and smart off-page optimisation techniques to get faster and better results. Our SEO services as well as promotional strategies vary according to the website requirements of our clients. We are not here for easy-money and thus our expertise search engine optimisation team doesn't follow the same search engine marketing strategies to promote every website. In this SEO Agency in Sydney, we believe that every website has different visions and therefore requires separate search engine optimisation as well as marketing strategies and techniques. For that specific reason our SEO experts sit with you to understand your requirements as well as your vision before even they take up the actual project. The next step for these SEO experts is to deal with the research work on the Internet, which in turn will help them come up with the competitor's analysis. After deriving the competitor's analysis, they will begin the optimising process for your website and plan the search engine optimisation and marketing strategies based on your needs. You might find the search engine marketing techniques to be the same, but the applying ratio will be far different from any website you know at the moment. This Sydney SEO Company provides you with the first page ranking on Yahoo,Nine MSN & amespecially on the Google. Affordable internet marketing strategy to groom your local business website for the global arena. Creative SEO techniques combined with separate promotional strategies. This Sydney based SEO Company promises to increase sales lead while decreasing the web traffic acquisition cost. SEO Sydney offers you innovative keywords with competitive KEI analysis. The one of the main objectives of this SEO Agency in Sydney is to provide you with 'On-Time' SEO optimisation strategies tailor-made to your needs. We are determined to go into core of the matter which will definitely help in giving a boost to the business. Guaranteed search engine rankings by implementing competitive keywords handpicked by the dedicated optimisation specialists of this Sydney SEO Company. Our SEO experts always keep themselves up-to-date with new SEO techniques. We take care of your SEO campaigns while you focus on your business. 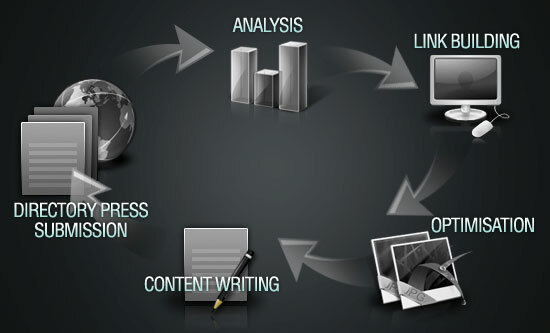 SEO Sydney will provide you with enhanced search engine ranking within minimized time. Influential off-page optimisation strategies to keep you ahead of your competitors. SEO Sydney always uses alternative SEO strategies to meet your ever-changing requirements. We will provide you ranking reports on a fortnightly basis to keep you absolutely updated about the ranking progress of your website. SEO Sydney: Innovative search engine optimisation and marketing firm provides you website optimisation, SEO marketing and creative SEO services.